There are always those moments in our lives that we remember solely because of how terrible they were. Death of a family member, week out from work from a stomach bug, bad fight with a significant other, etc. Another bad moment in people’s lives without fail is moving. Whether it be cross country or across the street, moving your life is never easy. That is where Bellhops come in. 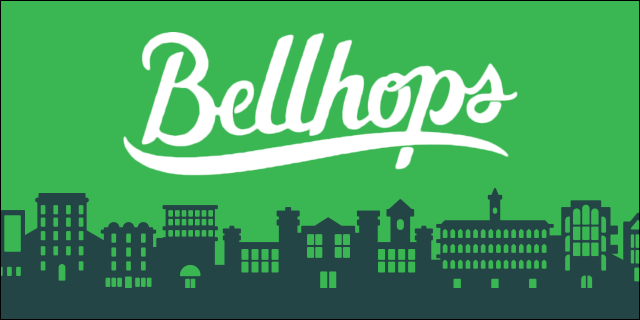 Bellhops hire the best college students from your local college and provide a service like you have never experienced before. Where customer experience is their focus, their cheap prices are only beat by the quality customer support. They charge $40/hour per Bellhops, or mover, and only charge you after the move has actually happened for the amount the guys actually worked. The only up-front money the customer pays is a $1 deposit to get the card into the system. The Bellhops from the area of the move are then notified of the move and the job is filled on a first-come first-serve basis. After they claim the job the leader of the move, called the captain, is instructed to call the customer 24 hours before the move to confirm everything with them and also to communicate with his wingmen (other movers). The customer is also sent an email with pictures and short bios of the Bellhops that will be helping them so that they know who will be coming to their house. Once the Bellhops start the move they clock in on the app, crush the move, and then clock out. The customer is then sent another email with the times clocked so that they can verify them or contest them if they do not agree with the time or if something was broken. However, as their Yelp reviews show, the customers almost always are happy with the results. The Android and iPhone apps streamline the process by making all of the information even more readily available and easy to manage. For the Bellhops themselves the app serves as a means to claim jobs and clock in and out of them. It also provides info on where the move is, the customer’s contact information, and reminds them the checkpoints of when they are supposed to contact the customer and provide them with a peace of mind. On the customer’s side of things, the app allows them to book a move instead of going online or calling in and review the details of their move to make sure that everything is correct. All in all, the app is there to make their awesome experience even greater and make sure that everything that happens to the customer is the absolute best that they at Bellhops can make it. The app can be found at https://itunes.apple.com/us/app/bellhops/id939797180?mt=8.